It’s no wonder my granddaughter loves bubbles so much. Imagine building a hollow globe of liquid soap, and then releasing it into a beautiful Summer day to dance but for a few moments on the whispering edges of a warm sunny breeze. To wonder at it’s rainbow reflection on a surface so thin and fragile that it’s viewed only but for a brief moment. Oh sure there’s the occasional bubble that lives far beyond expectations. The one that floats past the tree over the fence into the neighbors yard, then it’s slammed by a rouge breeze into a blue flannel shirt on old lady Griffins’ clothesline. You hail it as new world record holder as you dance with triumph. But this miracle is not mourned, others are produced as fast as you can breath in and out. This small miracle that I have come to take for granted is not lost on her. She dances and laughs with each and every one she can. Each new bubble is a new friend. Each new bubble has a different character. Some bubbles are fat and heavy and sit down quick. “They don’t like to dance.” she giggles “They lost their breath too quick!” Some bubbles pop as soon as they’re given the breath of life. “Boomers” she calls them. Most bubbles linger for awhile, dance a bit, blend in with the others and then they’re gone….kind of like most our lives. But a few bubbles become legends in song. I watched as my granddaughter danced her story. A story that couldn’t be accurately told without interpretive arm and leg movements. Her constantly moving limbs match her hazel brown eyes that move to even the slightest distraction as she pirouettes around the room. Her black bubble stained tee-shirt could easily be confused for a young girl who managed to flee the clutches of an eight, no twelve armed octopus attack. And her dirty sticky bare feet speak of bubbles that didn’t get away. And, then as quick as her story started….guess what? She’s gone! Some invisible rope tied around her waist had yanked her back outside. Slam! Goes the screen door. “Watch out! Oooh oooh get up there! Move over! Higher!” sings my granddaughter from the back porch as she directs another batch of new found friends. I sit back in my leather recliner and half-heartily turn my attention back to my wide screen TV. All 105 channels of it! All available for my personal pleasure 24 hrs. a day seven days a week in HD. And I sit there, jealous of the total love and enjoyment my granddaughter has for the simplest form known to nature. The sphere. And it’s a sphere in it’s simplest form, made from liquid. Why can’t I love something that much? Oh I love my kids…most of them. 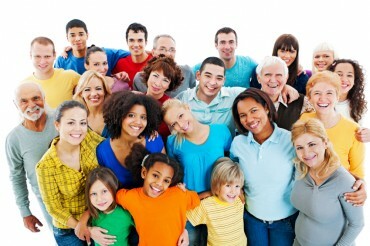 And my grandchildren….all of them, but why can’t I obtain the simplest form of pleasure? That being love. Love from something I have or like to do. I want to L O V E to do something or to have something again! Is it because with age we can’t have love without desire? If I was going to blow a bubble I would think about making it bigger than my granddaughter did. To impress her, it’s what we do. It would have to go higher and further and last longer….love lost. The desire to blow a better bubble has made it a competition, but only to you, not the child. She still celebrates every bubble. Love has left the equation. Desire and competition have set in. Polluted love. Or is our now understanding of love changed? We love our spouses. That’s a fancy name for husband or wife, you know the one at the other end of the couch each night. We look across at them in all their evening, ready for bed glory and remember a time not so long ago. Then you go look in the mirror and thank them for staying on. We still love them, but some of the shine is gone. Its sad to think I’ll never love something ever again as simple and purely as she loves bubbles. That kind of innocent love is rewarded to the very young. Remember to celebrate it with them. Colour, blow bubbles, take walks, watch cartoons don’t feel silly being a fairy princess grandpas and dads, because, that love she has for bubbles is only one tenth of the love she has for you. 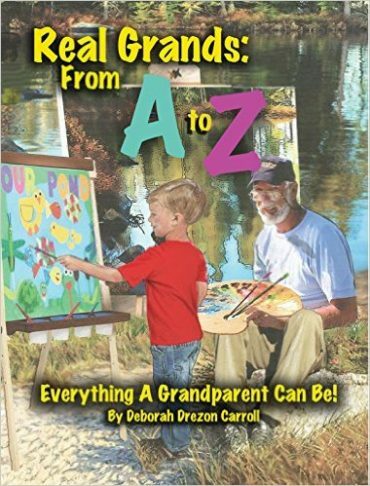 What a Grand Book for Grandkids!